There are a lot of things about my house I love, but the ugly little necessities that just happen to be the most obvious things in the room, are not one of them. Thermostats? Cords? If you have ugly indoor eyesores (and we ALL do) you will be happy to hear there are clever ways of making them visually disappear. 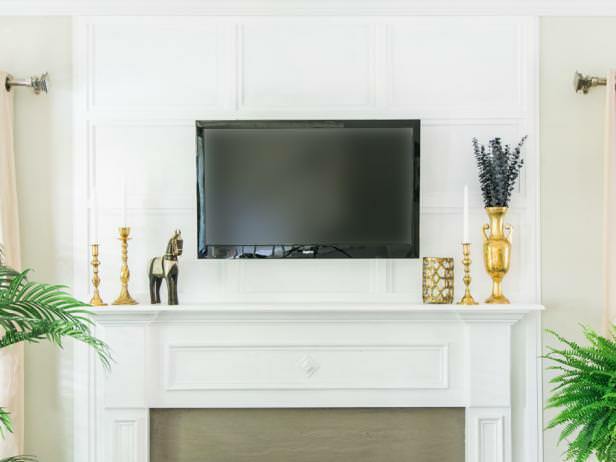 Learn how to hide TV cords, hide a cable box, hide air conditioner units, and the all important, how to hide electrical cords! 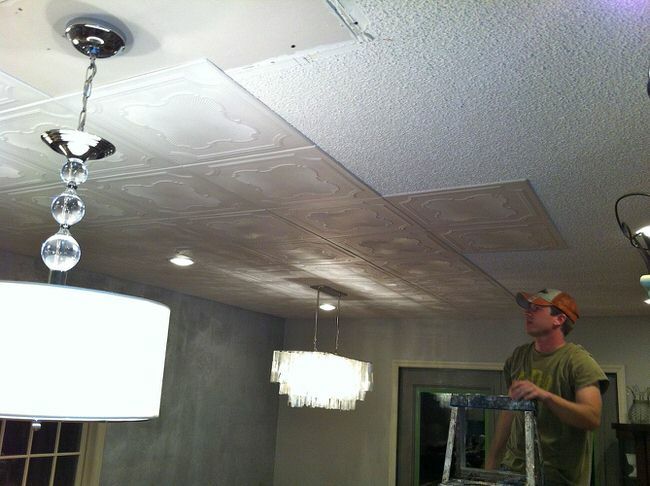 Even the best way to cover popcorn ceiling. 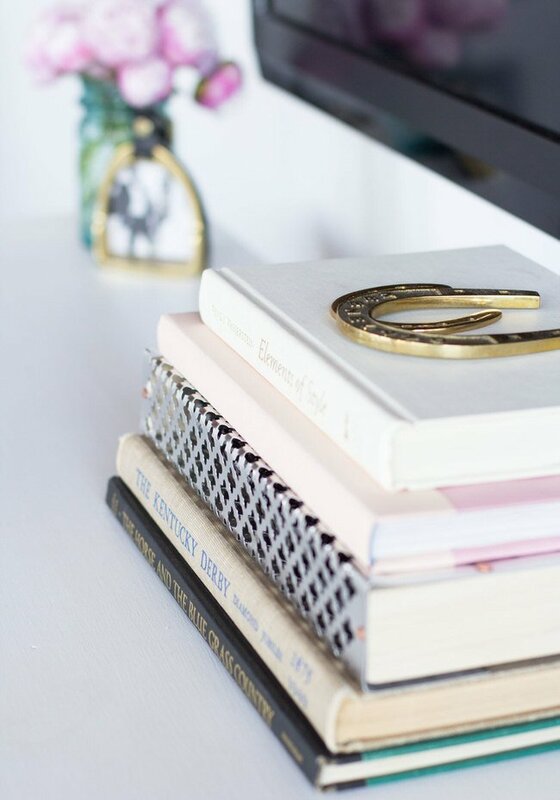 Try these genius solutions for how to hide home eyesores all around your house! BTW, if the first thing you want is to hide your TV, we don’t blame you. 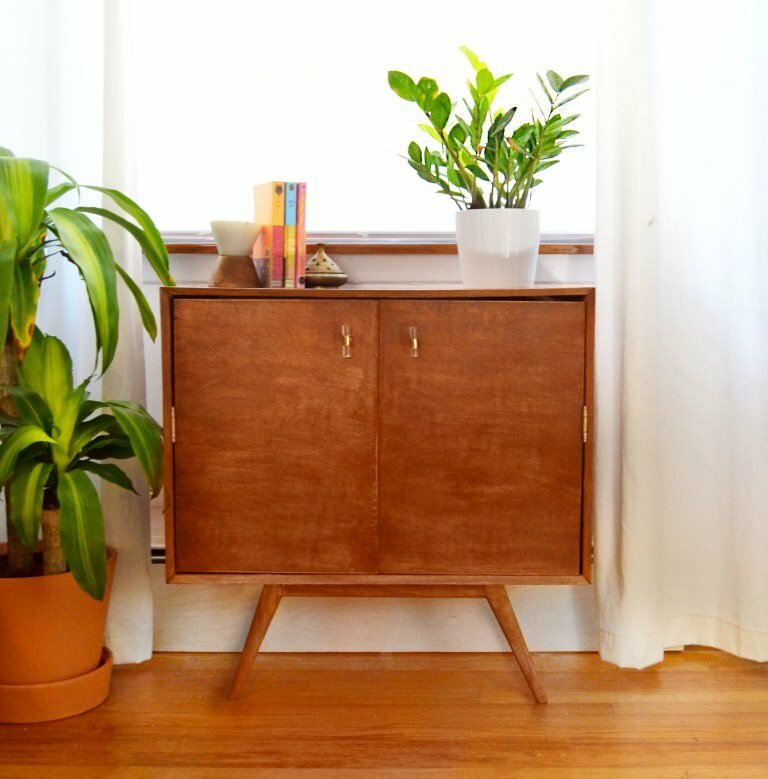 Check out Hide Your TV : DIY Projects. We also have a great post on how to hide the ugly, outdoor edition! From Haley at ‘Me + Mr. Jones‘ is this great way to hide a cable box. Haley made this from aluminum sheeting and as you can see, is hidden among books! This would also be a great box to hide a router and modem or Apple TV too! Build this cabinet cover a hide an air conditioner from ‘Best Friends Pizza Club‘. This is a 3 part tutorial, with all the details you need to build this Mid Century inspired cabinet to cover that ugly thing when not in use. 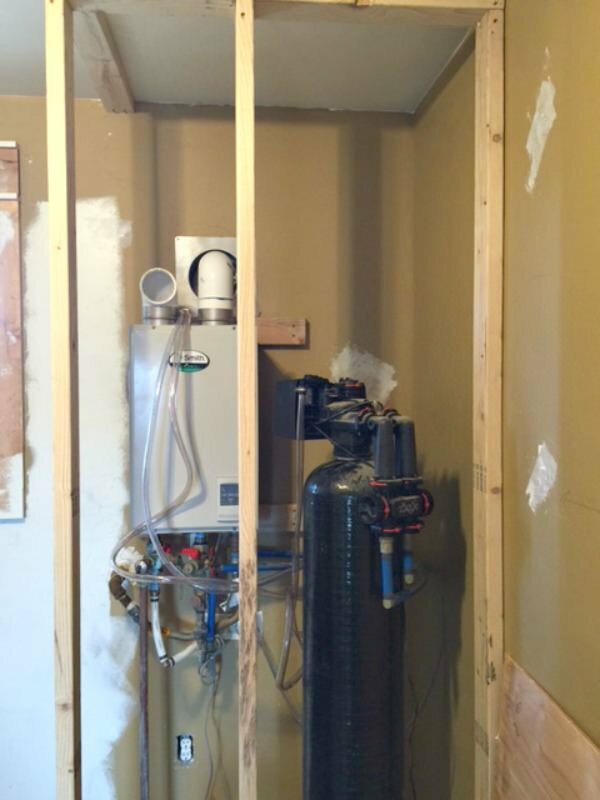 Is your AC unit higher up in the wall? 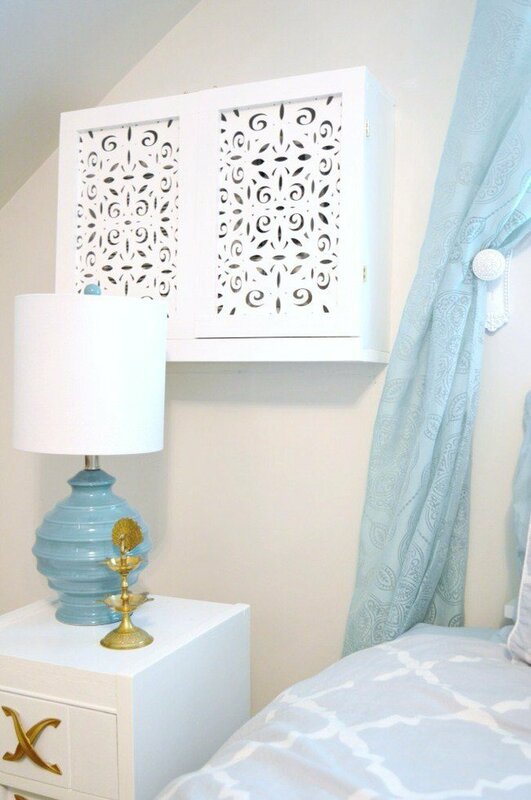 No problem, ‘Vintage Meets Glam‘ made this DIY AC unit cover from some 2×4’s and some laser cut wood panels they found at Micheals for 50 cents! Such an elegant way to hide indoor eyesores. 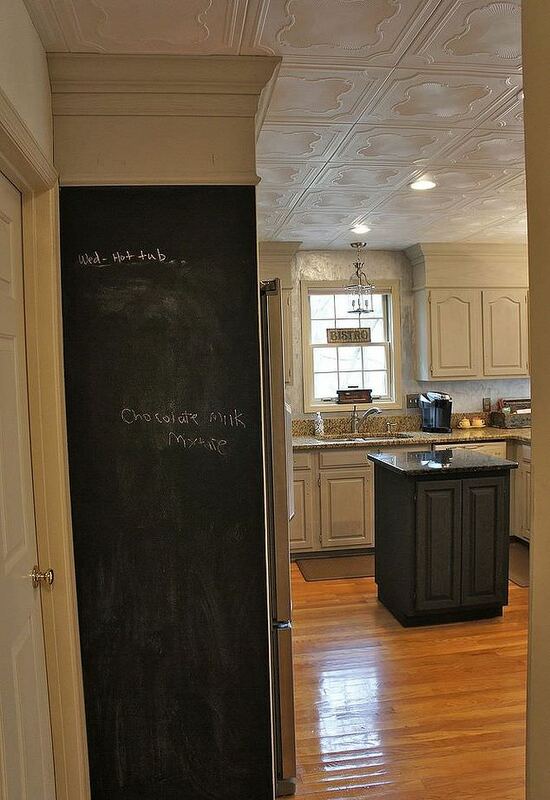 Cover a popcorn ceiling with this innovative product they used at ‘Bella-Tucker’, via ‘Hometalk‘. These are faux tin tiles made from Styrofoam that they glued right over the popcorn texture… No scraping! 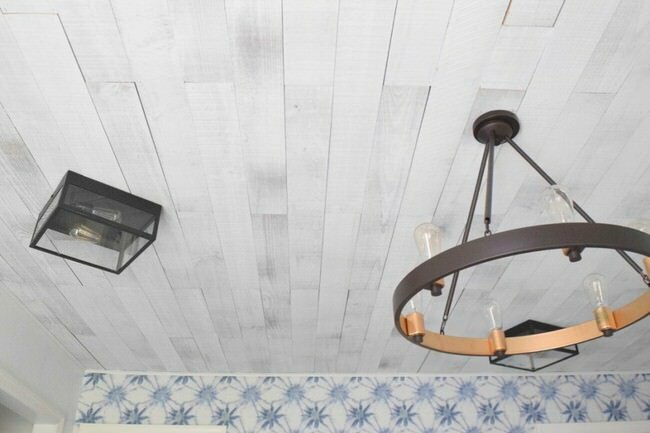 ‘Nesting with Grace‘ shows us how to use ordinary planks to cover a popcorn ceiling. The washed finish on these planks is perfection! If you have under sink pipes that are visible, you may not want to add a “skirt” to the sink to hide them, or invest in a cabinet. 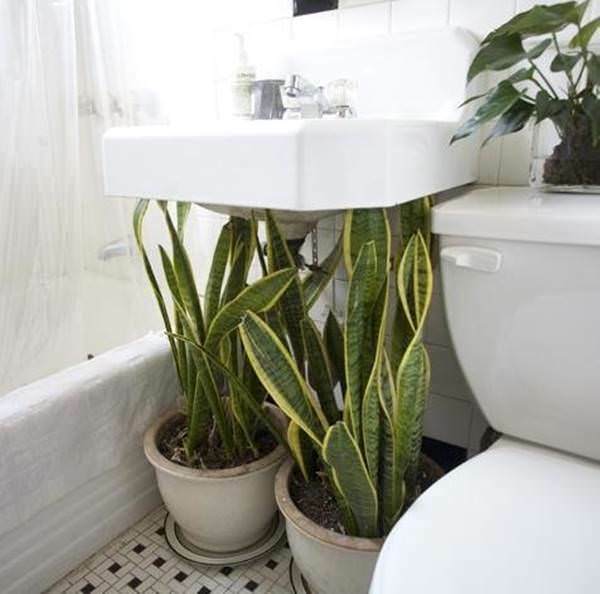 This idea of using plants to hide pipes is genius. From ‘Time Out New York‘. 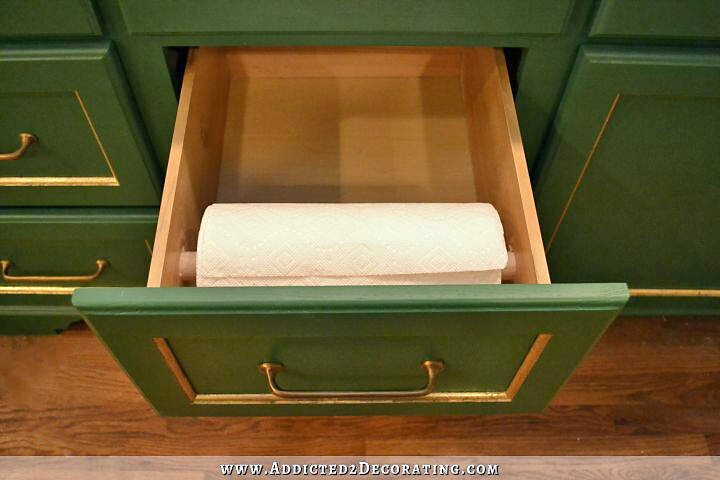 Love this hidden paper towel holder from ‘Addicted 2 Decorating‘. A simple project. Took her only 30 minutes to do! 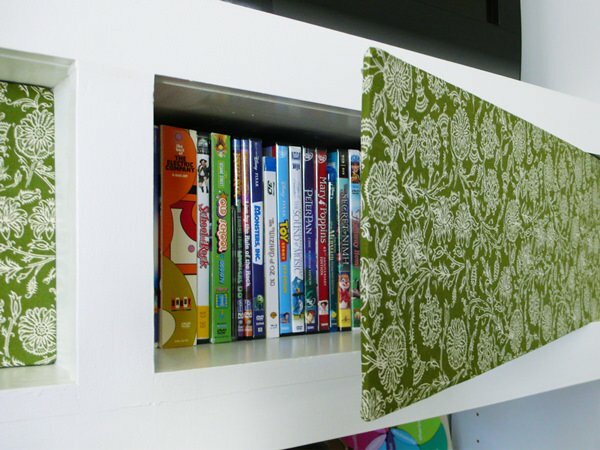 From ‘Rather Square‘, hide shelves that are stuffed full with their DIY fabric covered foam core covers! Easy, fast and fresh project. This is great for those cluttered entertainment centers that pretty much have to be the focal point of the room. Hide a water heater (or softener) by creating a cabinet like this one from Sara at ‘Twelve on Main‘. Great step by step tutorial here, love the final product! Or try this DIY water heater enclosure video by ‘DIY Network‘. 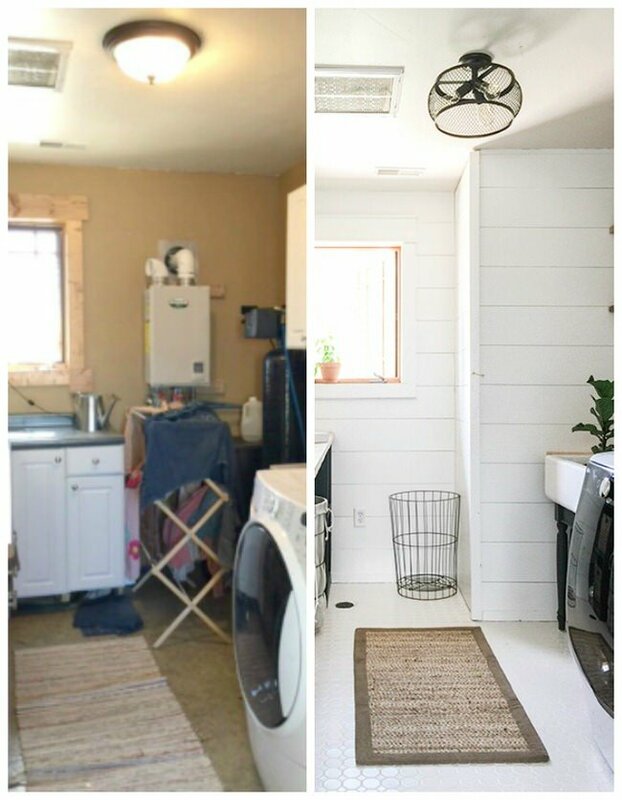 Ugly dog crates laying around the kitchen? 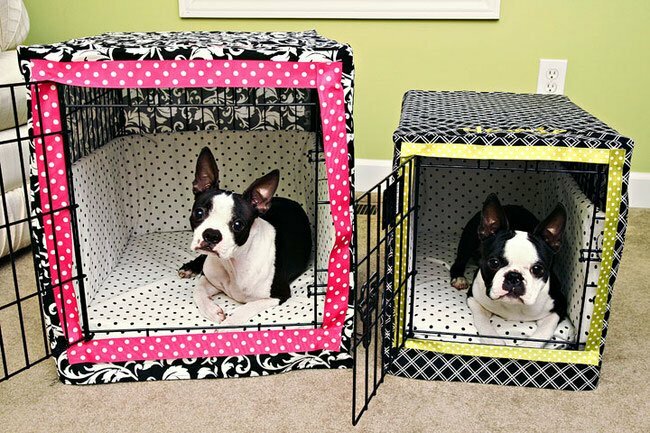 ‘Kevin and Amanda‘ have plans on how to make dog crate covers and cushions for your furry family! 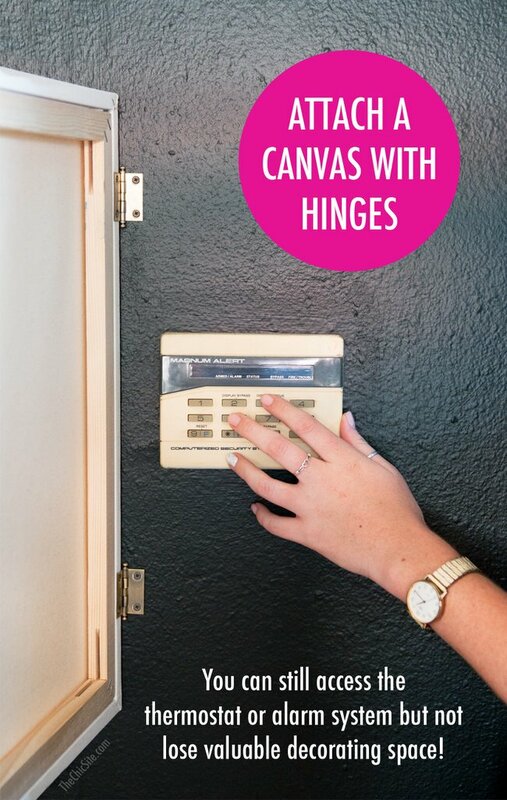 Try this simple trick on how to hide a thermostat or security system from ‘The Chic Site‘! Lastly, we have the biggest ogre of the ugly indoor eyesores… wires and cords! Learn how to hide TV wires from ‘DIY Network‘. What wires? No excuses for ugly in your home! Learn how to hide indoor eyesores with these great tutorials, tips and ideas! We know you will love our posts on How to Reupholster Almost Anything and Boost Your Home Value : 9 Easy Projects! The dog crates are amazing. I will try it for my dog. I remember, I also did something like this. I had tires lying in my garden so I transformed it from a simple looking tires to a ottoman. Omg, these ideas are simply genious!! I really like the air conditioner one and the thermostat idea. They are the biggest eyesores on my house, I’m definitely going to make these awesome solutions! Thank you!! Beauty Basics : Cleaning Makeup Brushes & Tools The Easy Way!